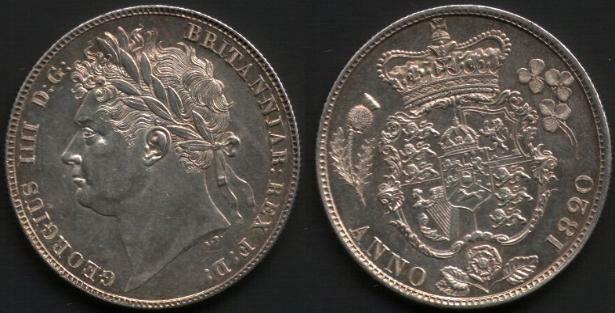 The first obverse was by Benedetto Pistrucci. and they were all designed by Jean Baptiste Merlen. Lord") the date, and a rose below. It was used in 1821 only. St. George slaying the dragon below. 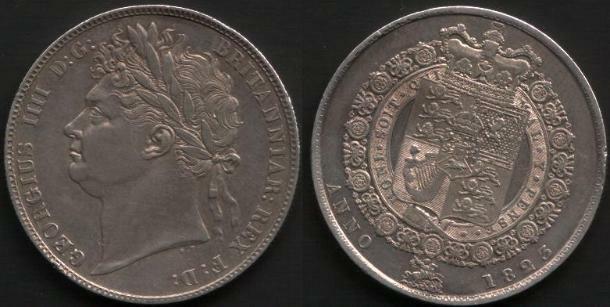 1820-1829 Silver, 14.1 grams, 32mm Diameter.